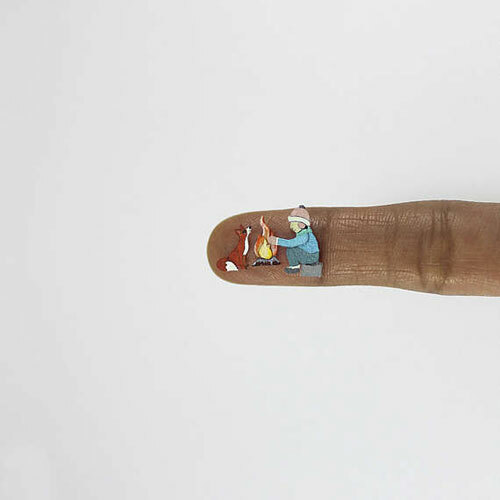 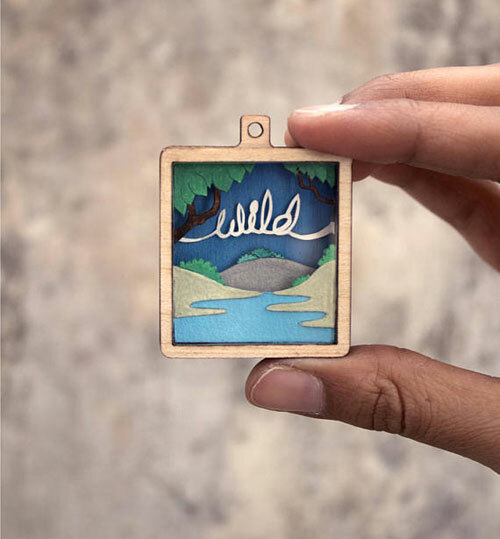 Nayan Shrimali and Vaishali Chudasama from Ahmedabad, India are the artists behind NVillustration. 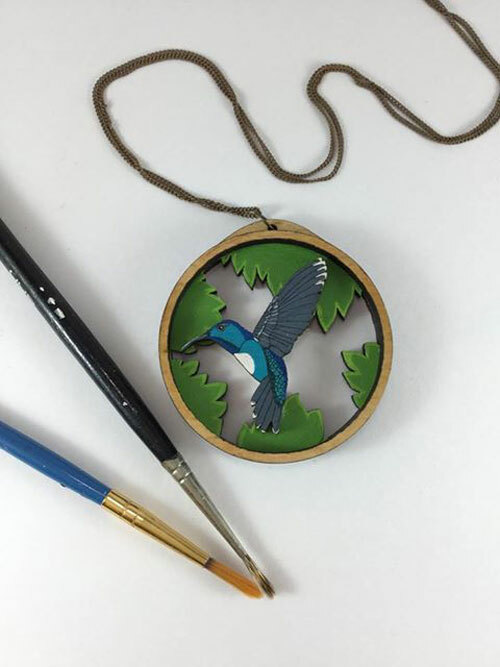 Vaishali has always loved to illustrate and as an animation student learnt to make models and sets. 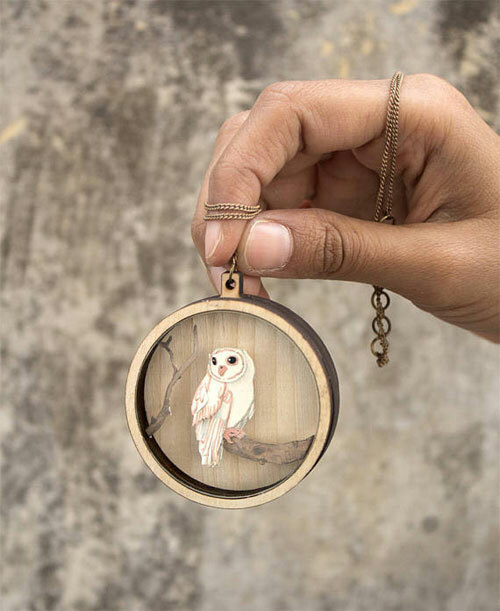 Her illustrations were given a 3D form when she met Nayan who is also a furniture and interior designer. 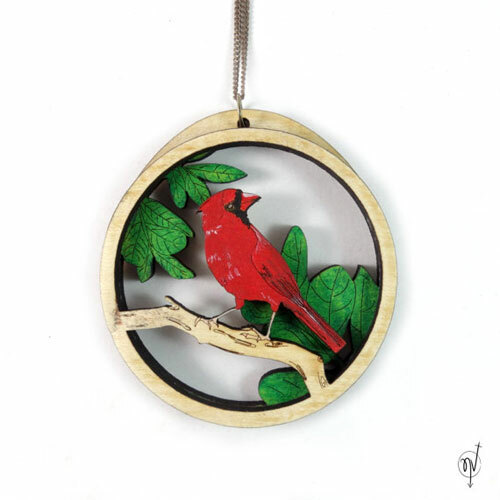 It's the combination of passion for art and knowledge of technology that resulted into lovely paper cut jewelry. 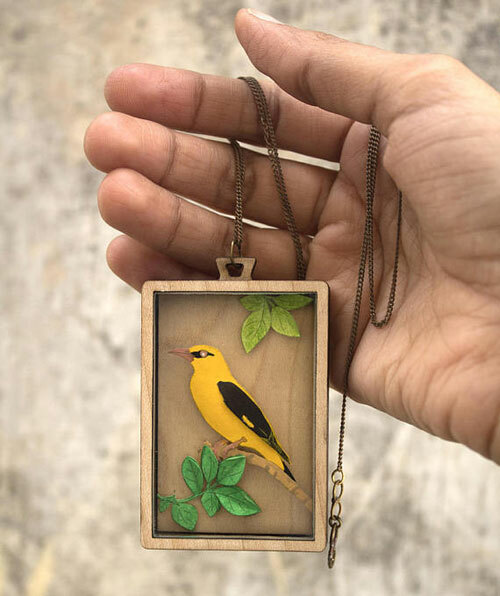 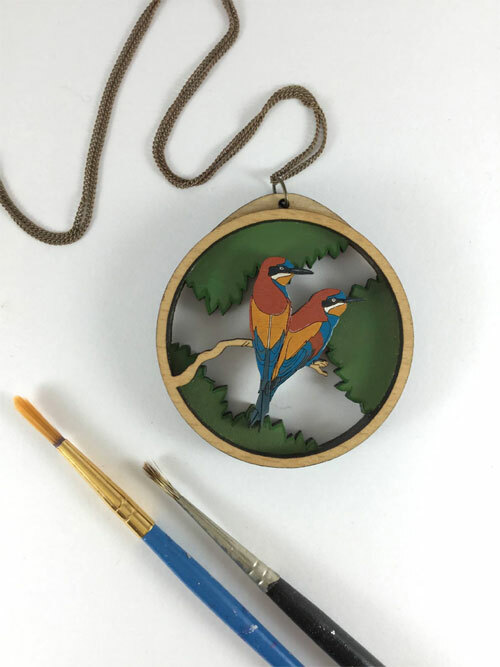 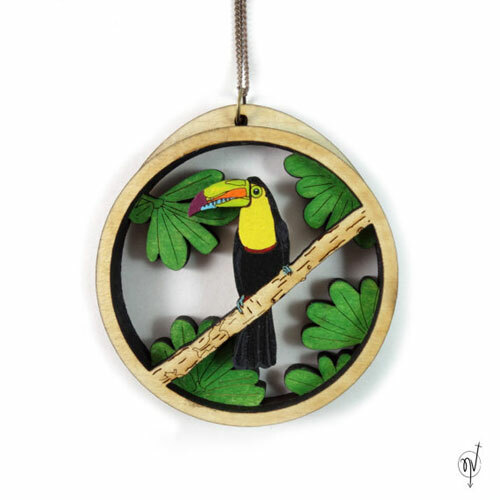 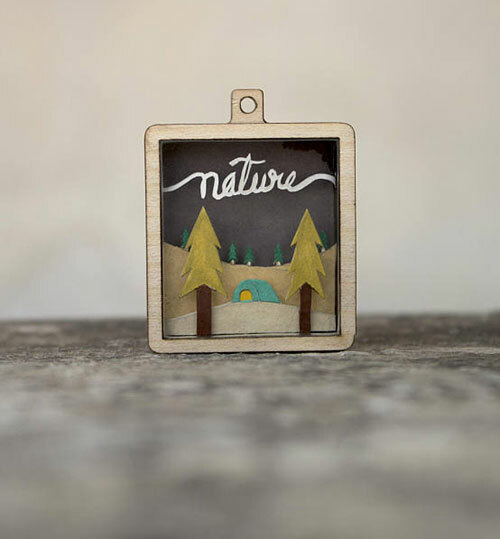 Their one-on-a-kind necklaces are hand-cut with a surgical knife and are hand-painted with animals and nature inspired scenes. 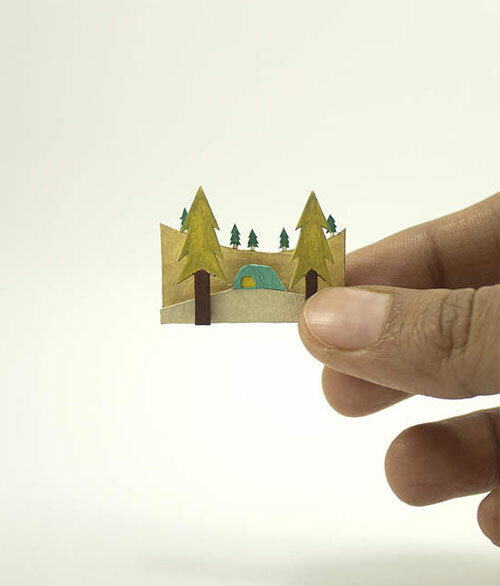 The entire paper-cut that can be smaller than an inch is set inside a wooden box covered with thin glass to protect it. 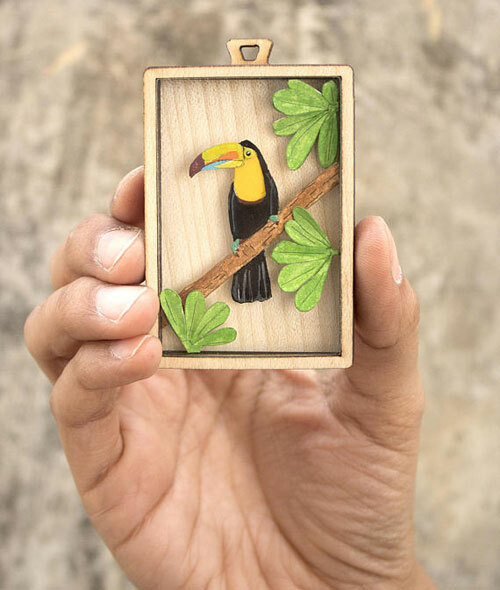 It's a statement, fun piece that you would want to wear everyday. 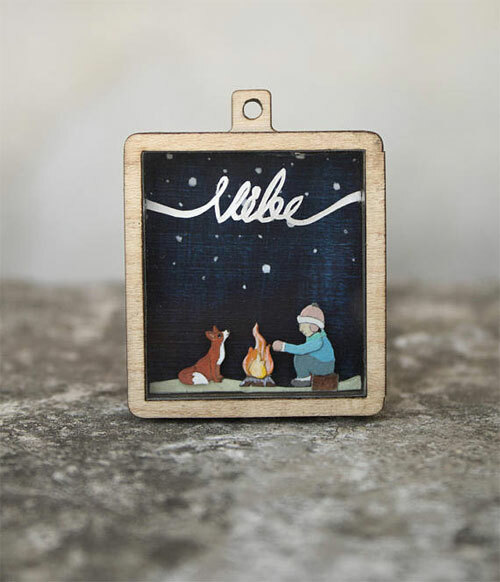 You can contact them for personalized couple portraits through their online store.